Lotus is a WordPress business theme created by Averta and featured on ThemeForest. It is a powerful and very flexible theme that features many useful options. Creating a website with this theme is as simple as possible. Lotus is really a multi-purpose theme. 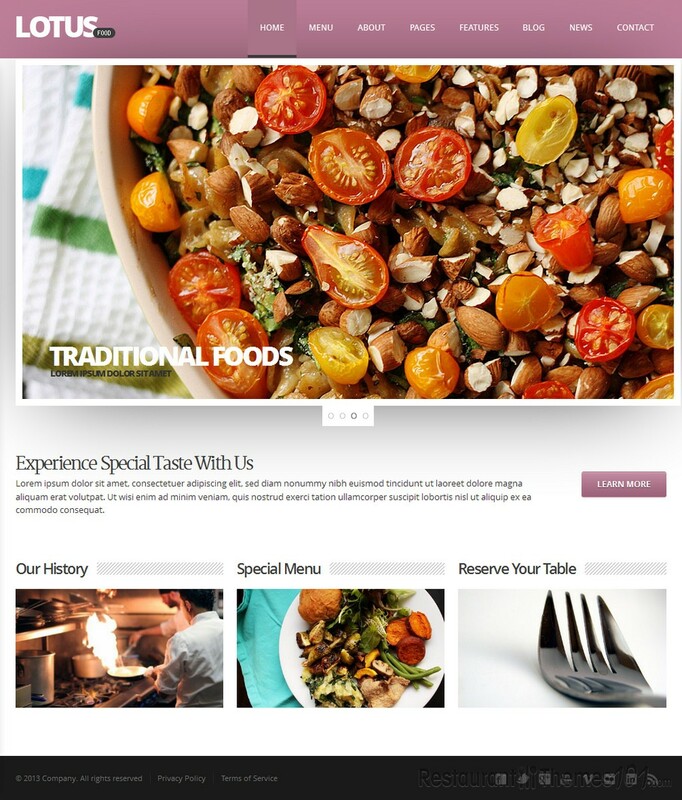 It can be used as a WordPress restaurant theme but also for agencies, business, as a personal website, a showcase, a coffee shop, and many more. One of the great tools Lotus features is the awesome smart page builder. 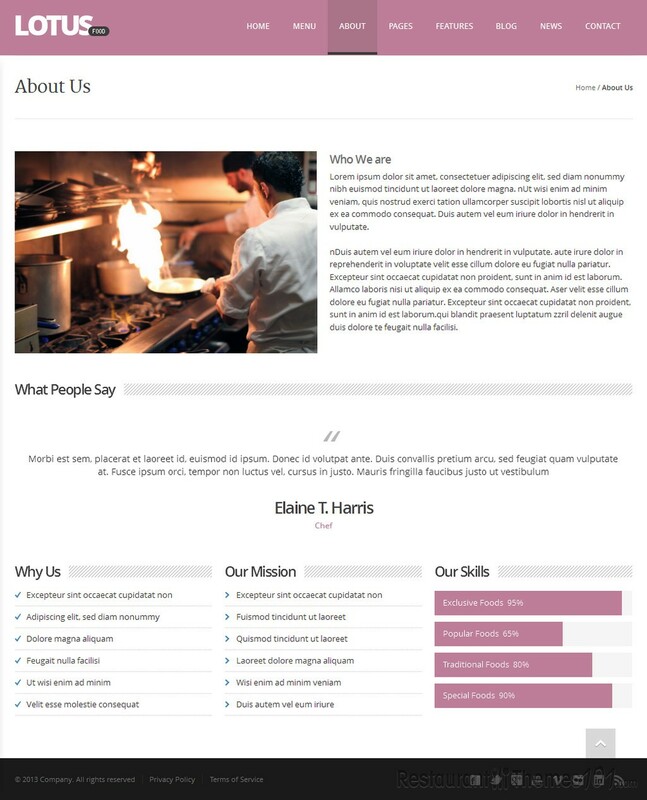 This is a great drag & drop page building tool and by using it, you can create any page layout and you can create it to be very rich and filled with great elements without having to write HTML or touching the code whatsoever. You will be able to create an unlimited number of unique pages of great quality with a simple visual drag & drop. The advanced admin panel gives you full control of each and every piece of your website. You can customize anything you can think of, including elements like changing main and heading typography, choosing the color of anything you want to, set a custom background for each and every page, choose out of 8 footer layouts, and many more. This theme has been created as a very fast, very professional hi-tech theme with excellent high quality performance. Your website will be SEO ready. Each part of this theme has been created separately and altogether they make a remarkable system like no other. Lotus is completely responsive and retina ready. Your website will look great and automatically adapt to any screen size, no matter what device you are using. It looks great on retina displays, its graphic is ultra-sharp and everything looks absolutely wonderful. There are 5 different sliders included and they are all modern, they look amazing and you can choose whichever you want to enrich your website with. There are numerous things that are remarkable about this theme, everything looks exquisite and yet everything is so easy to setup, you are going to love working with this theme.